Life in A Concrete Jungle: A Photoessay | What an Amazing World! It was the second week of my visit to Hong Kong earlier this year, the weather was rather gloomy and the temperature dropped significantly. Around the same time the Sochi Games had just started, yet Hong Kong was even colder than the 2014 Summer Olympics host. Thanks to James’ proper planning I managed to come and visit Hong Kong’s great outdoors the previous week, leaving the less-picturesque downtown neighborhood to be explored when the skies turned grey. Less-picturesque it might be, but it was nothing short of fascinating. 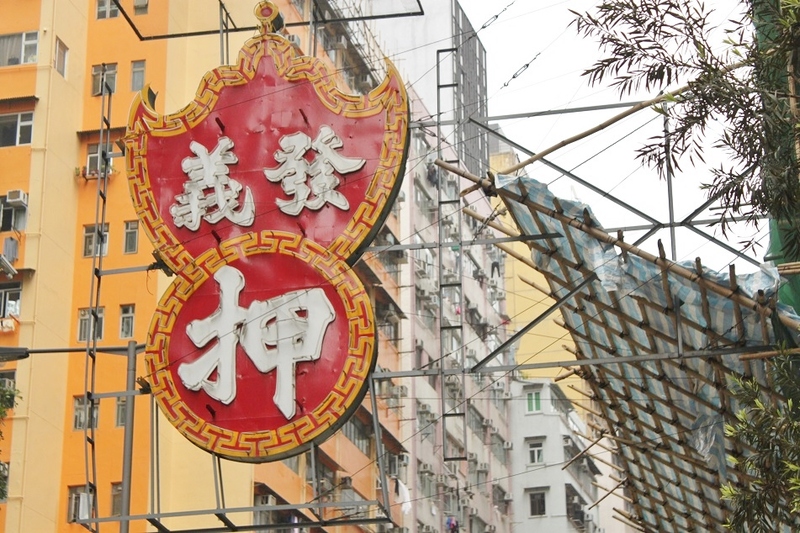 One morning I strolled around Wan Chai, one of the areas in the territory which experienced rapid modernization. The Praya East Reclamation Scheme in the early 20th century – one of the many reclamation projects Hong Kong has experienced – dramatically changed the face of Wan Chai and Central forever, adding land area that later provided spaces for modern skyscrapers that made the city’s skyline one of the most recognizable in the world. The district’s past coastline itself is now a busy thoroughfare flanked by residential estates, office towers, temples and shopping centers. 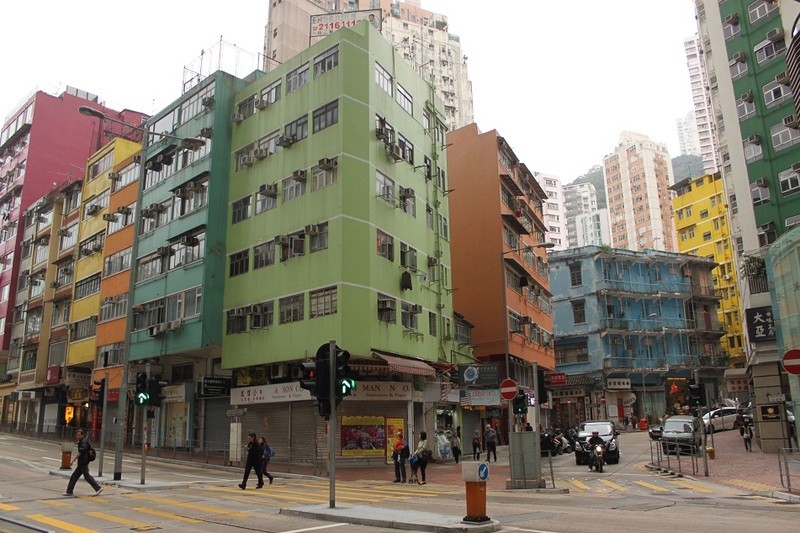 Statistically Wan Chai District’s residents are some of the wealthiest in Hong Kong and the neighborhood itself is home to the (once) prestigious Hopewell Centre and Central Plaza, some of the city’s most iconic skyscrapers that helped shape its skyline today. 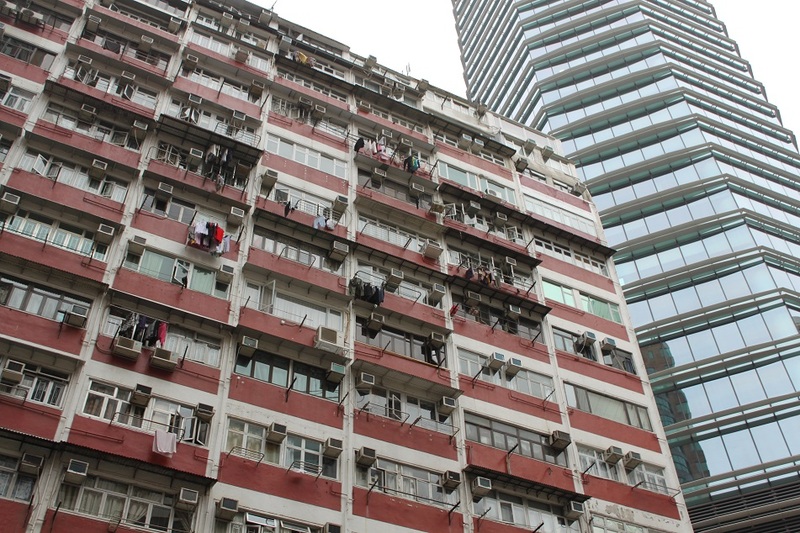 However Hong Kong is not known for its income equality, in fact it has the one of highest Gini coefficient among the world’s high-income economies, nothing but apparent at Wan Chai’s streets and alleys. 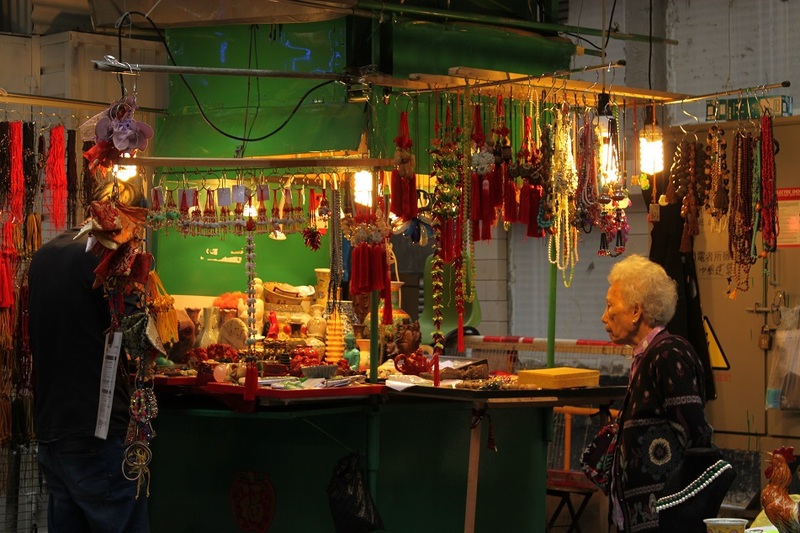 That day – a few days after the Chinese New Year – locals shopped at wet and dry markets where meat, fruit, snack souvenir and clothing vendors occupied small and brightly lit stalls, some under bamboo scaffolding. Above their heads, glitzy office towers stood side by side with drab rectangular buildings with weathered walls. I turned to another street and saw old people helping themselves, a scene I also witnessed quite often in Singapore, indicating how living in such expensive places forces many to postpone retirement in order to earn more money to foot their bills and live decently. However at night, according to the half-Tibetan Hong Konger who I met two years ago, Wan Chai turned into another world where raunchy nightlife took the spotlight. 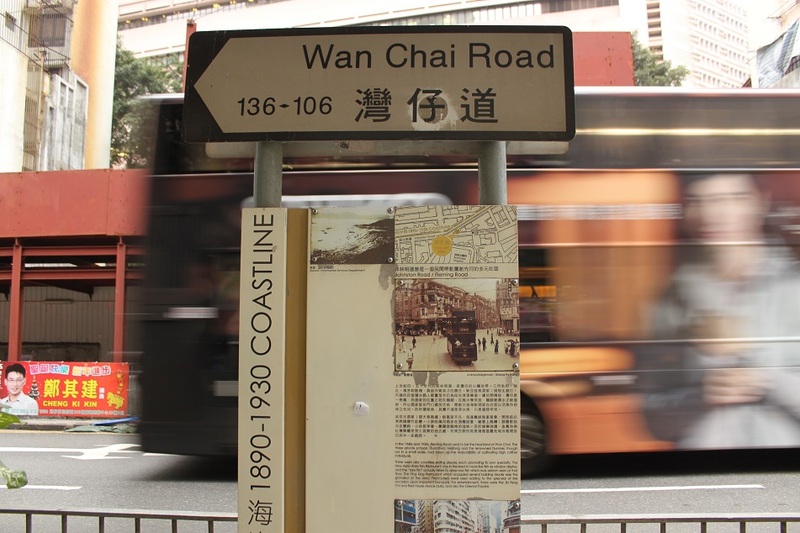 Wan Chai truly provides outsiders with scenes of a typical Hong Kong’s classic neighborhood where concrete is everywhere and building up is the norm. It is where the rich rub shoulders with the less fortunate, where derelict buildings are shadowed by expensive modern skyscrapers, and where a gas station sits underneath a high-rise building instead of in an open space. I was bemused when I saw that gas station. It really showed how expensive Hong Kong is that you have to be creative with any available spaces. Thanks for reading and happy travels to you too! Your photos give a really interesting view of HK. I always find to truly understand a city you have to get away from the CBD and explore some of the less well-known suburbs. Great post! Or in this case go right to the downtown and follow the locals. I’ve been writing about HK’s beautiful and interesting places, so this is a photo series on the city’s more familiar scenes. Thanks Helen! 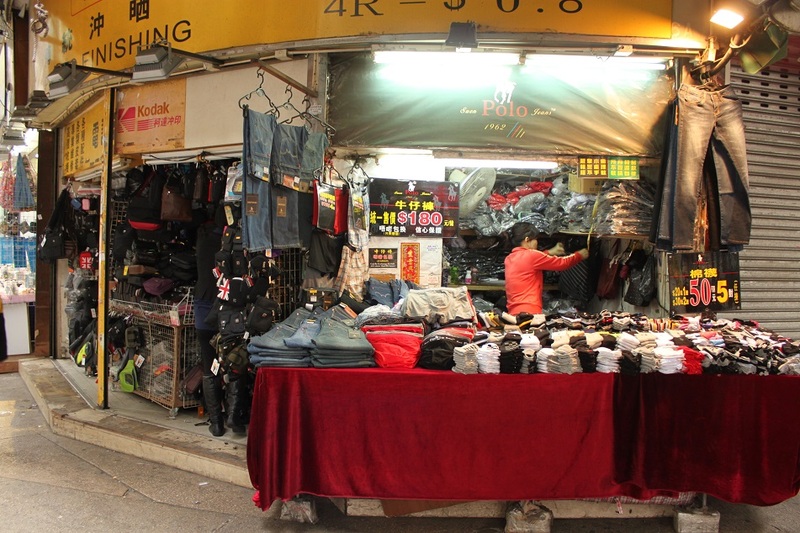 You chose some great subject matter to convey your stroll around Wan Chai. Very interesting photos! I enjoyed looking at them quite a bit. That gas station is funny to see! I was on my second week in HK and by that time I had visited most of the territory’s great outdoors. So when the temperature plummeted I thought “why not go to Wan Chai?” As simple as that. 🙂 But it was really worth it. Thanks! Your photos are documenting this life very good. Interesting, Bama. Thank you, Bente. 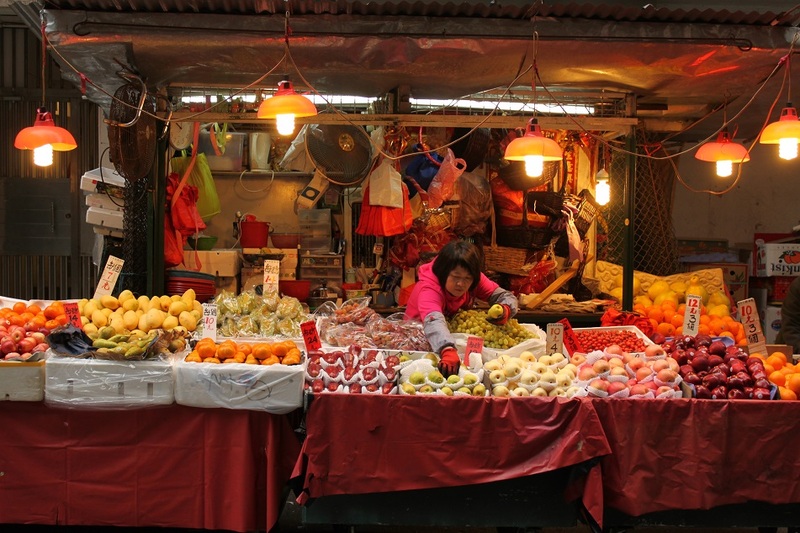 In a place filled with so many people like Wan Chai, it’s easy to find interesting scenes on the streets. It was a nice walk, indeed. The title is so true and reflects HK..HK always impressive, really love the street life captured in your photos essay. The advertisements are just madness there :)) Funny to see one of your pic reflects that – just wandering if people would finally paying attention after seeing too many adverts.. Downtown HK is truly a feast, or assault, to the senses.. depends on how you see it. Those ads together with the city’s ubiquitous neon signs show what the city is good at: competition. But honestly I don’t think people pay attention to them, only to those which really stand out. Thank you, Indah. Bama it strikes me that every scrap of space is being utilized. Last week I drove through the expanse of the Canadian prairies and I kept thinking what people in such spots as Hong Kong would think if they could see the contrast from where they live. Your photos make me feel as though I have walked down the street with you. How amazing is that? It shows how resilient we, humans, are and how we would always find ways to survive, no matter how limiting the condition is, e.g. Easter Island. I guess for HK people seeing vast prairies or any other open space is one thing that keeps them sane, amid their hectic work and life pace. Thanks Sue! Great photos! It makes me want to go back!! HK is such a vibrant city. Thank you, Quan. It truly is a vibrant city, with good food too! 🙂 That alone would make enough reason for me to go back. Oh itu Wang Lee Hom ya? Sering denger namanya tapi ga tau mukanya kayak gimana. 🙂 Hong Kong itu meskipun kotanya padat banget tapi banyak objek foto menarik. Waktu saya ke HK pertama kali saya ga bisa enggak bandingin HK sama Singapura. Yang disebut terakhir menurut saya kotanya terlalu… steril. Penduduknya sama-sama kehidupannya cepat dan sibuk sih. Tapi HK punya appeal lebih. Well documented Bama. 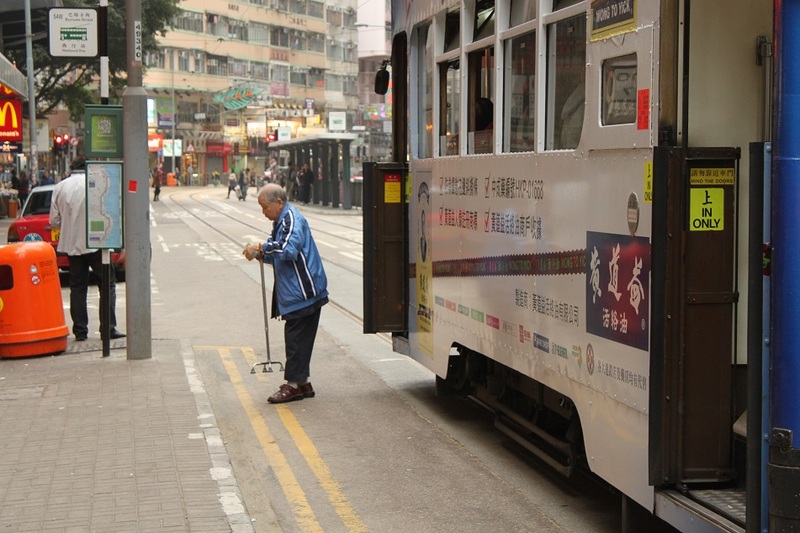 On one visit we stayed in Sheung Wan and took long tram rides just to watch life unfold along its route, and the contrasts were striking! 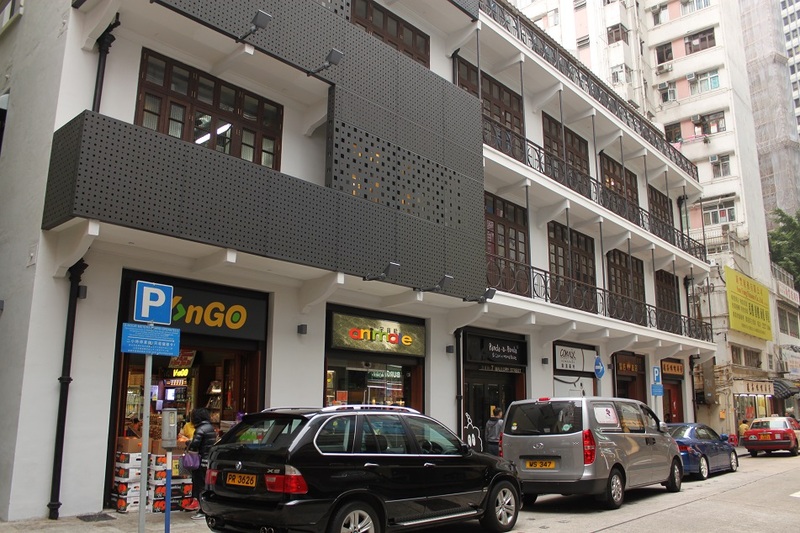 Sheung Wan is a nice place to see how HK people live their lives, how modern skyscrapers stand right next to rundown buildings, and how traditional markets are just a few minutes walk away from big malls. 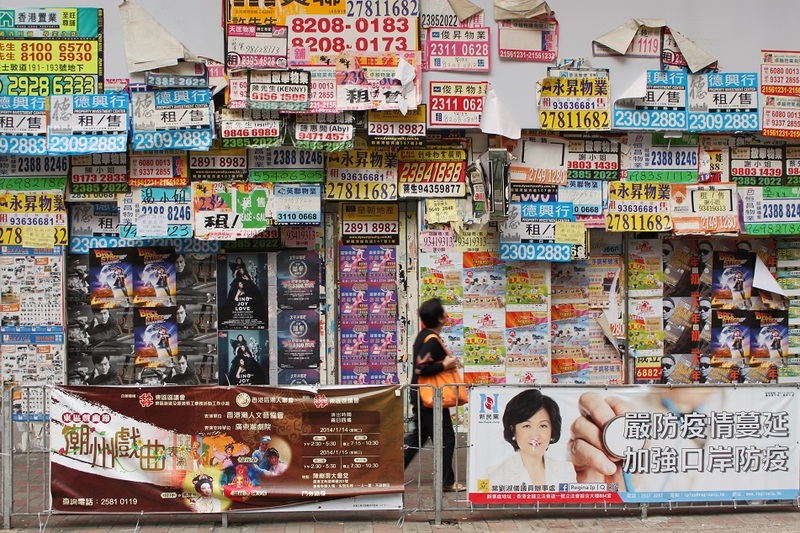 As you said, the contrasts in many corners of Hong Kong are really striking. It’s what makes the city interesting for urban explorers, but I’m not sure that’s how the locals see the city they live in. Thanks Madhu! 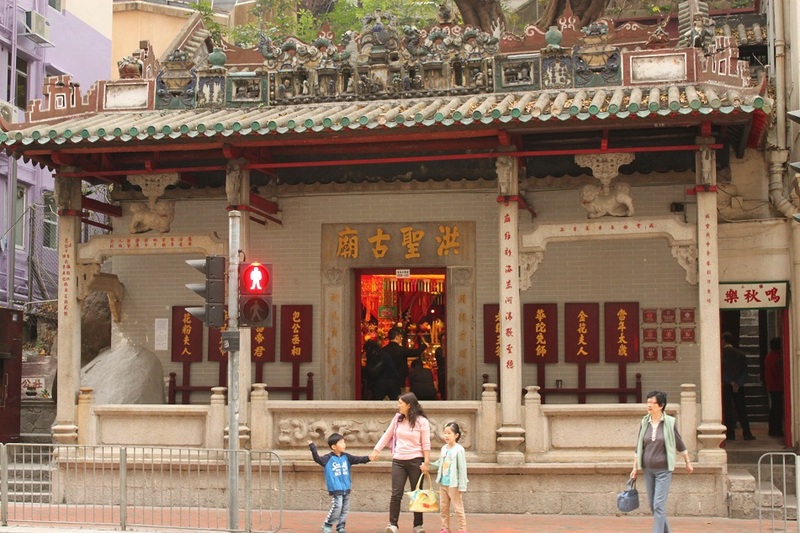 There is so much to see and do in HK! I have only scratched the surface. 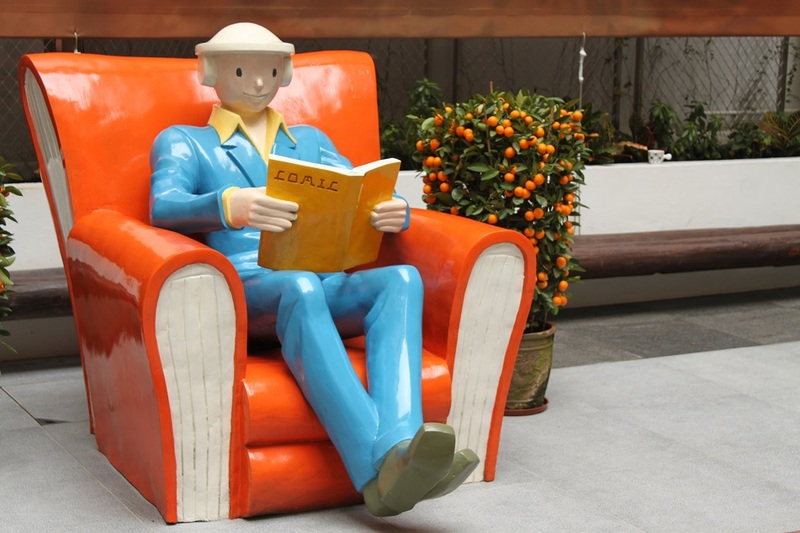 I enjoy reading your articles to learn more about the city! You have some of the best travel photos I have seen! Sometimes the best way to explore is just to wander without a map and a set itinerary – you’ll never know the things you’ll stumble upon. 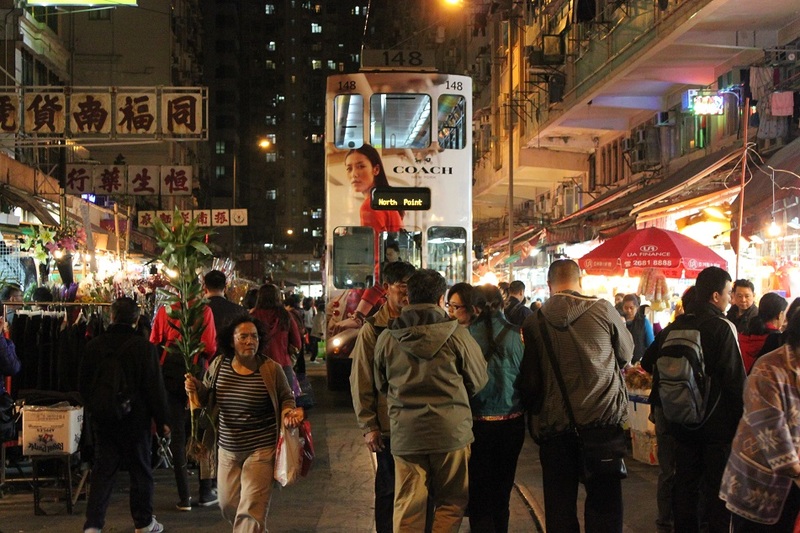 These are wonderful captures Bama, and they really convey the spirit of Wan Chai. The gritty tenement blocks, street markets and newly restored shophouses like the Pawn… and of course that triangular gas station beneath the skyscraper. It’s great to see a fresh perspective as I pass through many of these spots on a regular basis! I wonder if I should do the same here in Jakarta. 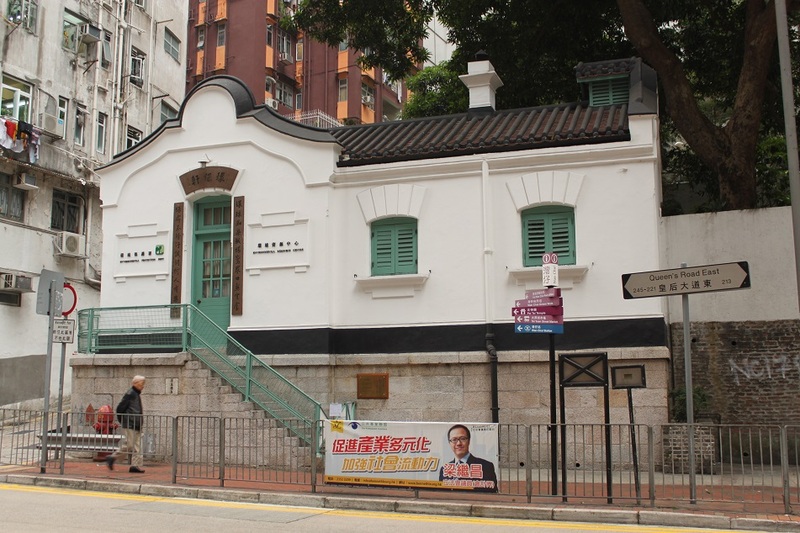 Wan Chai seems to truly embody HK’s constant pursuit of modernization amid efforts to preserve its cultural and historical heritage, to some extent. 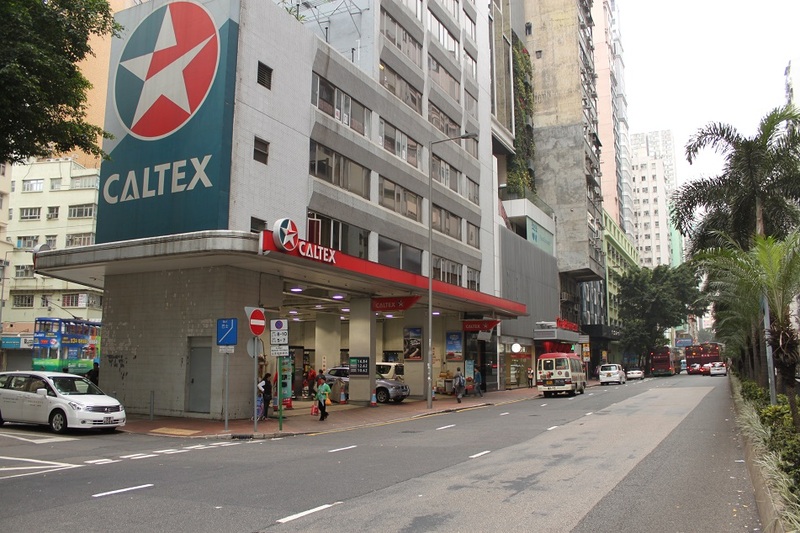 And that gas station, it was probably the highlight of Wan Chai for me! 🙂 There is a regulation here in Indonesia that all gas stations should be located within a safe distance from nearby houses/buildings. In HK they must be using a different and safer technology, I believe. Thanks James, but I thank you again for giving me some recommendations on places to see in Wan Chai during my solo exploration on that day. 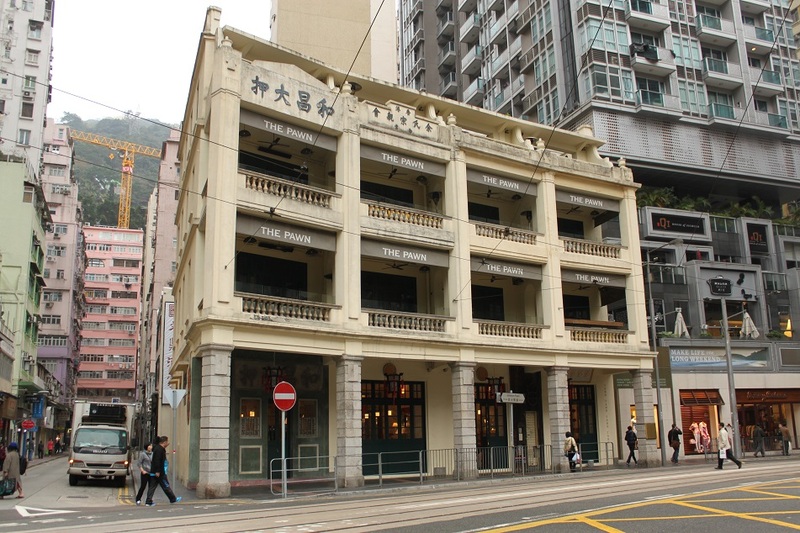 What a great little peek at Wan Chai! I loved that area of Hong Kong, mainly because of a great Mexican restaurant I found! It’s amazing how much can for into a small space and your photos definitely reflect that! being a local, it’s interesting to see how hong kong is look from your lens. you did captured the very local side of the city 🙂 hong kong will miss you! Thank you! That’s such a nice thing to say. 🙂 I miss HK already! But I still have some stories to share on this blog. I can’t wait to go back and have more siu ap! 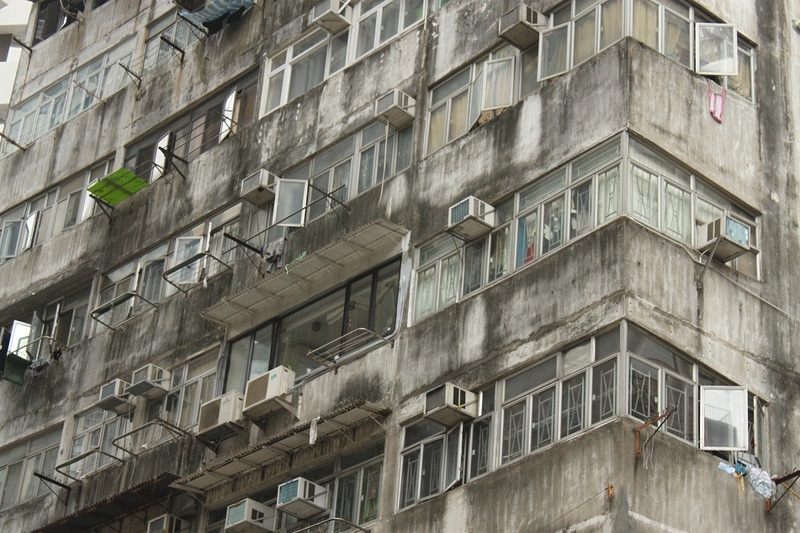 Hi Bama, what a fascinating glimpse to an HK neighborhood that not many people get to see. I enjoyed my virtual tour. Your photoessay beautifully conveys the spirit of the place. I liked the unpretentiousness of the area – so unlike some of the neighborhoods in the city that seem so self-consious. Lovely post. Thanks Marisol. I decided to publish this post before doing so on HK’s scenic villages, nice historic trails and picturesque outlying islands. 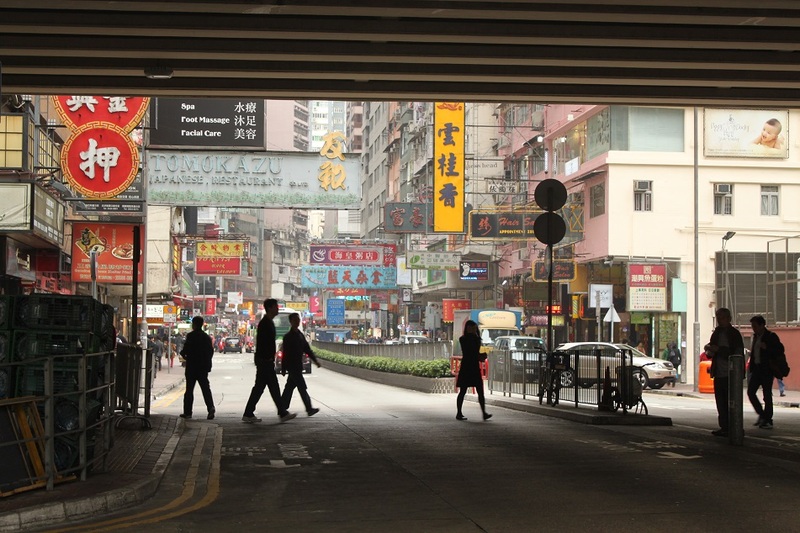 After all Wan Chai’s street scenes are the ones which pop up in people’s minds when they think of HK. 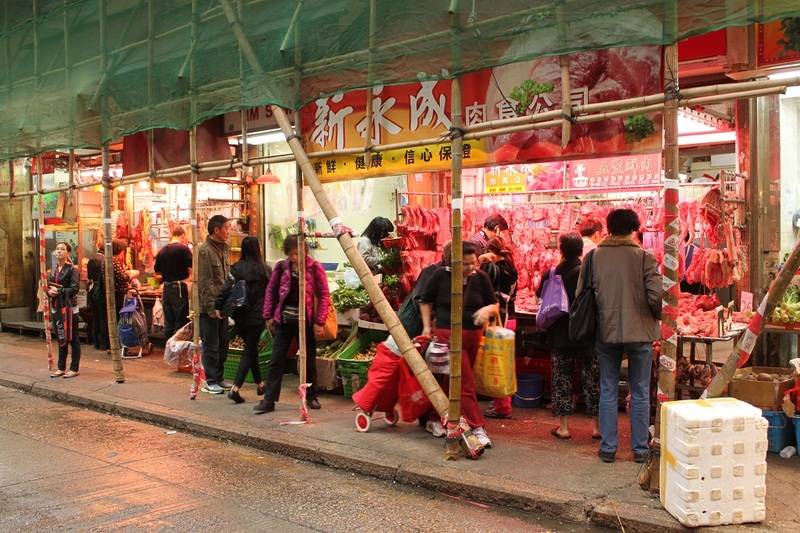 It was a lovely walk, indeed, and looking at the locals at Wan Chai’s market reminded me how modernity is not always the norm in a city like HK. 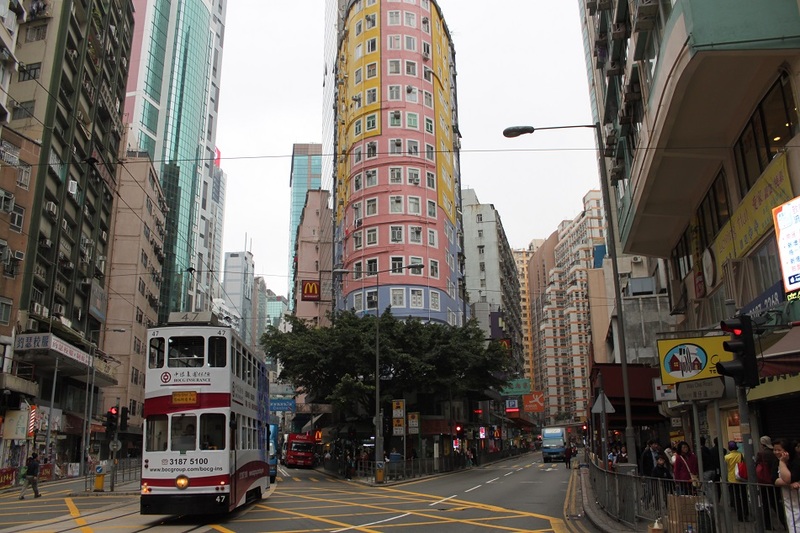 that rounded building in downtown wan chai is adorable! Does it remind you a little bit of the Flatiron Building? 🙂 That rounded building was such a nice sight in the otherwise monotonous neighborhood, indeed. Yes, it does, but better. I wish there were more cities in the US that experimented with color.